A companion blog for janeyredbrick.com. Here is your formal invite/reminder about obb annual Holiday Party. It is this Sunday (Jan 20) at 2pm. Like all previous years, it is a pot luck. Please bring whatever you would like... so far we have honey garlic meatballs, lasagna, pop, chips and pie, brownies and buns already taken care of. If you want to participate in the LEGO parts draft (first come, first served, up to 10 ppl) please bring along 20 dollars. Feel free to bring along any show and tell. If anyone needs any series figs (4 dollars a piece) please let me know by thursday, as that is my last work day this week. Series 3-9 are available. We have a show coming up for Family Day weekend, so if you would like to get involved, please let me know. This show will be the first eligible show for LUGbulk 2014. If there is anyone eligible for LUGbulk2013, this is your last kick at the brick... do not forget deposits, or signed forms. For Whackolug Members, please note, this means there is no meeting at Angels this Sunday. As well, please note, that we are moving to Swiss Chalet, on Stone Rd, for the Feb. meeting. We are pleased to invite you to the biggest and best LEGO show in town! We are opening our doors to the public to showcase over 10,000 square feet of amazing LEGO creations, made from thousands upon thousands of blocks by adult hobbyists across Canada and the USA! Enjoy the exhibit at your own pace. You and/or your child can build in the "Look What I MADE" area. Enter your email to WIN the LEGO prize pack. 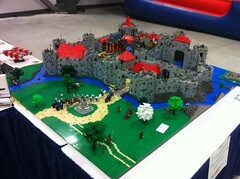 Visit our vendors for unique LEGO or LEGO related purchase, including custom pieces, minifigures, old and new sets. Speak with the builders of these amazing creations, many of them will be onsite to answer your questions. 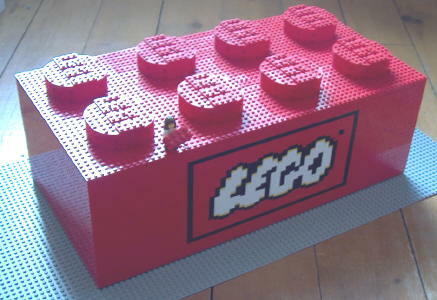 Learn about the hobby of collecting and building with LEGO. LEGO fan event in Toronto! Coming, this July 14th and 15th! We have a host for our annual Holiday Party, thank you Chris Male and family. The party will be a pot luck, so bring something yummy to share! The party will be on Jan. 29th starting at 3pm. We will discuss brick procurement, we will have a "Secret Santa" gift exchange, and a "Trade a Fig" time. As well as plenty of general LEGO chit chat! I will bring the entire new "friends" if anyone wants to check them out. Please feel free to bring any new 2012 product lines for "show and tell" or any MOC or project you are working on and would like to share. To register for Brickfête... register now to avoid disappointment. And YES, its MY disappointment we are talking about, because I will really miss you if you dont join us. 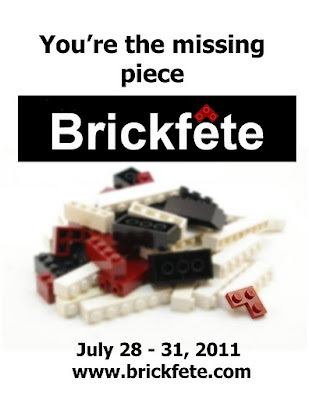 Ladies and Gentlemen... there are only two months left until Brickfete and I am happy to say that the events schedule, rules and guidelines have all been posted. We also have a few vendors and an amazing list of supporters of our event. Please take the time to check out the vendor and sponsor pages to see who is helping us become a reality. Can wait to see what everyone has built! Check them out and consider this your formal invite to join us. The baseplates are laid, the studs have been covered and the last brick has been snapped into place. 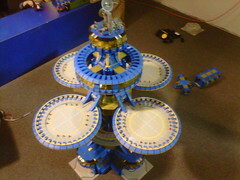 Only one piece is missing (in this moc): you! 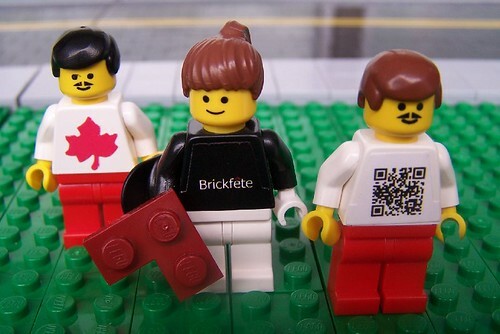 the inaugural Canadian LEGO fan event. "A festival run by fans, made by the fans, for the fans." I do not care if the is real, or photo-shopped.... this is awesome. from someone apparently a few bricks short of a load.